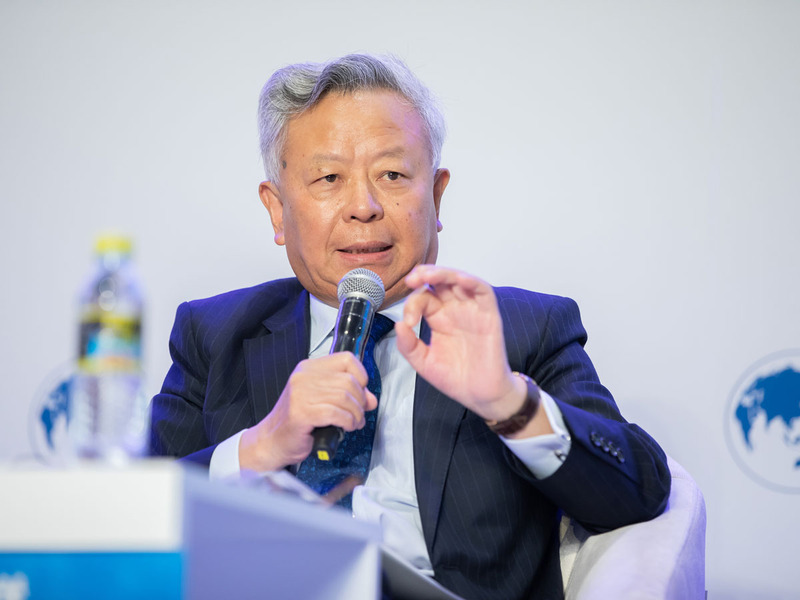 Jin Liqun, president of the Asian Infrastructure Investment Bank, speaks on March 27 at a forum on Belt and Road Initiative infrastructure construction in Boao. Globalization necessitates both hard infrastructure, such as railways, highways, ports and airports, and soft infrastructure, such as policy coordination, trade and investment liberalization and facilitation, and free movement of capital and people. The 70 years after World War II have seen globalization galloping, but the infrastructure underpinning the process has been aging and crumbling, with more users and fewer repairers. The new era of globalization calls for better infrastructure. China is seeking global partnerships and innovative methods to plug the financing gaps for countries and regions participating in the Belt and Road Initiative to boost infrastructure construction for sustainable development. Jin Liqun, president of the Asian Infrastructure Investment Bank, said on March 27 at a forum on Belt and Road Initiative infrastructure construction in Boao, Hainan Province, that infrastructure construction is not simply about building roads. The amount of debt, cost recovery and environmental mess are among challenges that need to be looked at. "Therefore, infrastructure construction cannot clone the model of existing projects. New ideas and new concepts are needed (to address the problems)," said Jin. Jin's remarks came as the Belt and Road Initiative, launched six years ago, has been endorsed by more than 100 countries and regions. It mainly aims to build infrastructure including roads, railways and ports to fuel economic growth of countries and regions involved, especially developing countries.